The major drivers for the global respiratory monitoring devices market are the increasing aging population, rapidly increasing pollution and urbanization, respiratory diseases increased prevalence, increased tobacco smoking, and changes in lifestyle. 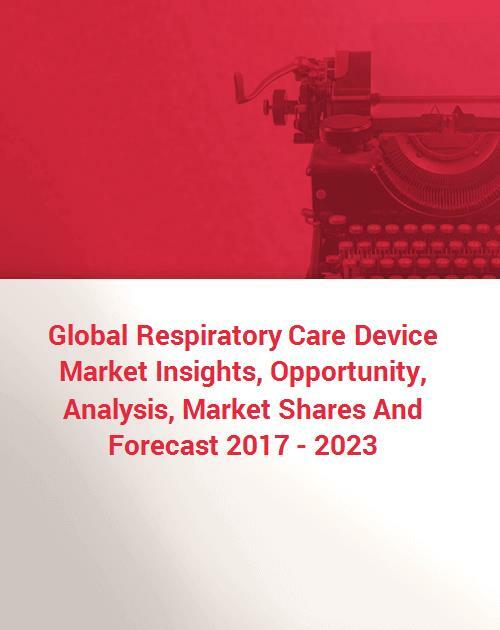 However, the important factors which are increasing the demand for the respiratory monitoring device market are the growing prevalence of chronic respiratory diseases like pneumonia, asthma, respiratory distress syndrome OSA, chronic obstructive pulmonary disease (COPD) and cystic fibrosis. The major factors which are driving the growth of global respiratory monitoring devices market are increasing health care expenditure, increasing number of smokers, growing prevalence of respiratory diseases and rise in geriatric population. The only restraining factor for the growth of respiratory monitoring devices market is the approval of devices because there are strict regulatory frameworks and complicated reimbursement process which hamper the market growth. The preterm respiratory monitoring devices market can be differentiated as oxygen hood, infant ventilators, resuscitators and others. In the respiratory monitoring therapeutic devices, the positive airway pressure devices are leading the respiratory monitoring devices market because of the technological advancement, easy portability and high battery life. Under the respiratory monitoring diagnostic devices segment, spirometers are leading the respiratory monitoring devices market because it can help diagnose chronic obstructive pulmonary disease (COPD) and various lung conditions. It is also used to monitor the severity of lung conditions and their response to treatment. The pulse oximeters segment is dominated the global respiratory monitoring devices market in year 2015. Factors like high accuracy, rapid, and effective results produced by these device fuels the growth of the segment. The pulse oximeters segment is also anticipated to register the fastest growth in the forecast period due to better diagnostic result in a shorter span of time as compared to other monitoring devices. Moreover, rising number of hospital admissions due to increasing respiratory disorders amongst the global population contributes to the growth of the hospitals end-user segment. The global respiratory monitoring device market is geographically segmented into North America, Europe, Asia Pacific, Latin America, Middle East and Africa. The largest regional segment of the global market is North America followed by Europe. In these regions, health monitoring systems are developing rapidly due to the growing expenditures of health monitoring industries which is responsible for the largest shares in global respiratory monitoring devices market. But it is expected that the APAC region will grow with the highest CAGR in the coming years, owing to the increase in the presence of respiratory patients, increasing per capita incomes, rapidly developing health monitoring infrastructure and high health monitoring expenditure. The respiratory monitoring devices market is increasing because of the growing awareness of health monitoring in the emerging countries like China and India in Asia-Pacific region. Note: Please allow up to 72 hours for delivery. Question What is the dispatch time on this report? Answer Dispatch for this report can take up to 72 hours. This is to allow for updates to be added and quality checks to be completed.